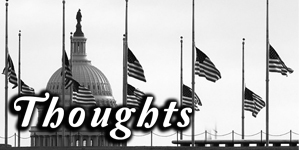 From the tragedy of 9/11 to the tragedies of today, so many times our country’s flag flies sorrowfully at half staff in honored memory and respect for those lost to violence in our country and around the world. 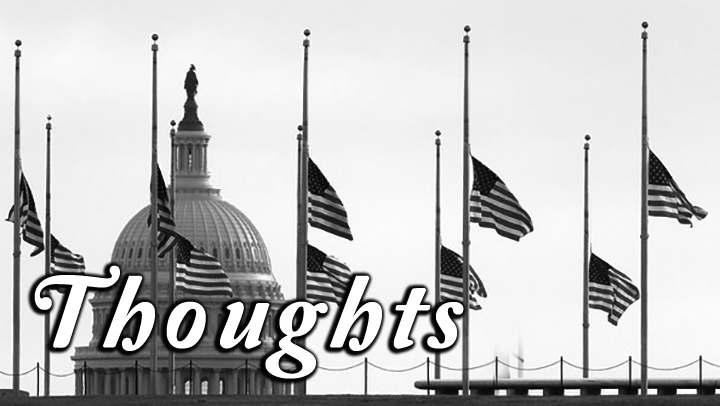 Each time, our hearts feel broken again for the loss of so many innocent people killed in such senseless acts of violence against our fellow man. There seems so little we can do, but we can offer prayers that all individuals know respect, value, and caring–a prayer that the pain so many families experience would be stopped. Let us each begin by showing kindness to the people we meet in our daily lives. Then, the words of the hymn we sing, “let peace begin with me” may be experienced and spread throughout the world.